Are you guys familiar with the Plaid Barn? It's an online shop for crafty goodies and daily deals. Every weekday there will be a daily deal on something crafty. It's a good deal, but it only lasts that one day. Once the counter runs out, or the item is sold out, that's it. I've been a fan for a while and as you might have noticed I recently added a link to the shop over there on the side bar of the blog. The reason why I'm writing about it today is that I really dig today's deal! 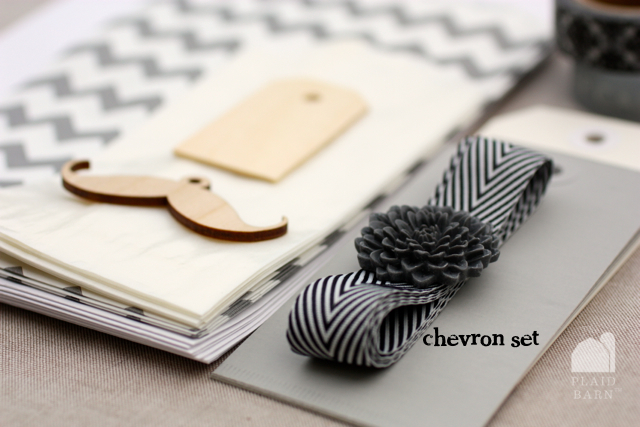 It's a 28 piece gift wrapping kit, in either chevron or polkadot and it includes 2 rolls of washi tape! 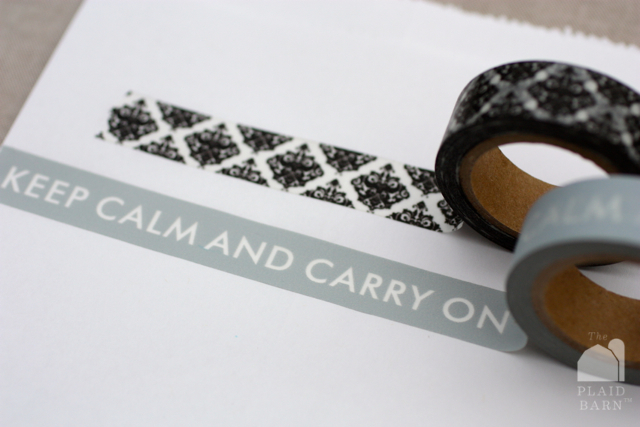 I'm thinking that it would be worth it for the tape alone, not to mention the other cute things it includes... Selling today for $7.95 + shipping.